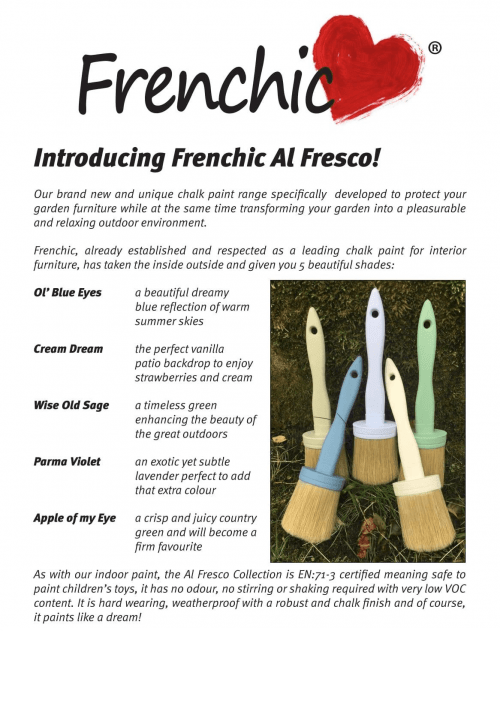 Frenchic is bringing the inside out with its new hard wearing and weatherproof chalk-paint range specifically developed to protect your garden furniture. While at the same time transforming your outdoor space into a colourful, trendy haven. It has also gone through rigorous testing to be certified child safe (EN 71:3) Al Fresco – a breath of fresh air for your garden! 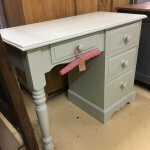 Now 6 stunning colours to choose from. 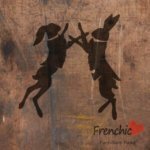 Click and collect from store, usually all items in stock but never more than 36hrs away. 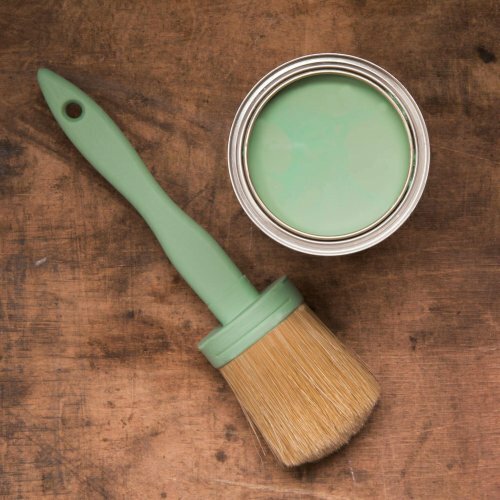 Founded in December 2014, Frenchic Paint has fast become a global haven for eco-friendly up-cycling inspiration. 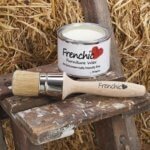 This is the fastest growing Chalk Paint Company in the UK. 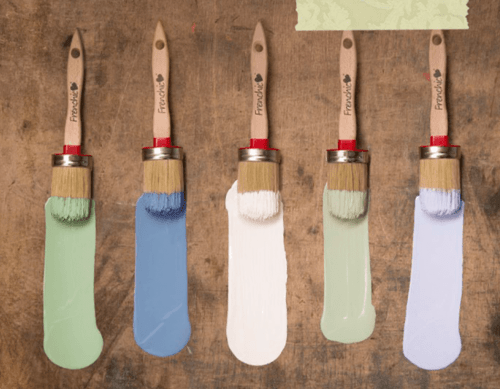 The Frenchic Paint phenomenon has really made an impression and taken the home decor world by storm, loved by interior creatives and environmentally conscious DIY enthusiasts alike. 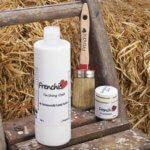 Frenchic Furniture Paint has no hidden nasties (ALL the ingredients are written on the can). 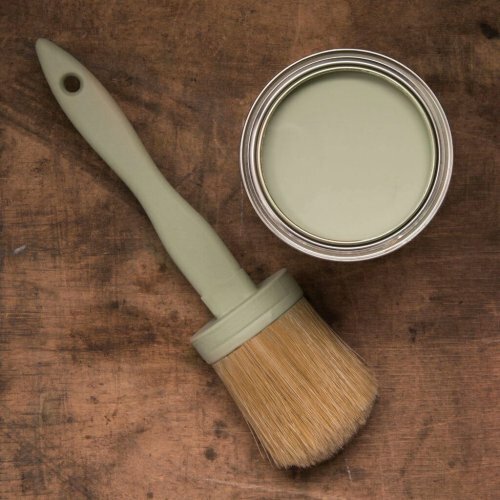 An all-natural, eco-friendly paint that requires no stirring, shaking or the addition of water. 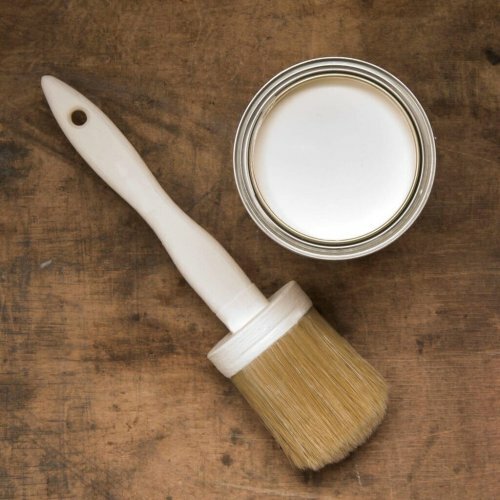 No added VOC’s, toxins or solvents and it has virtually no smell, therefore great for painting indoors! 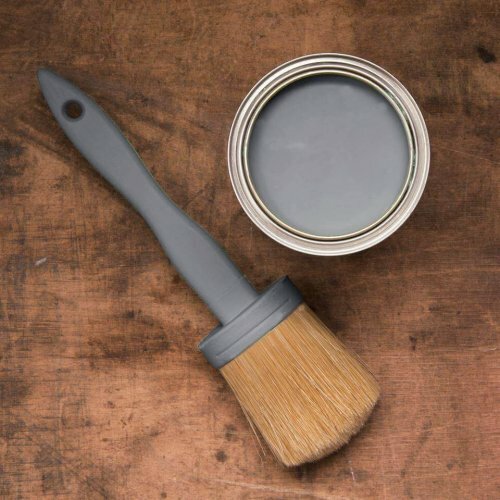 You’ll find that it is creamy, rich and easy to use so is the perfect paint for upcycling revamps. 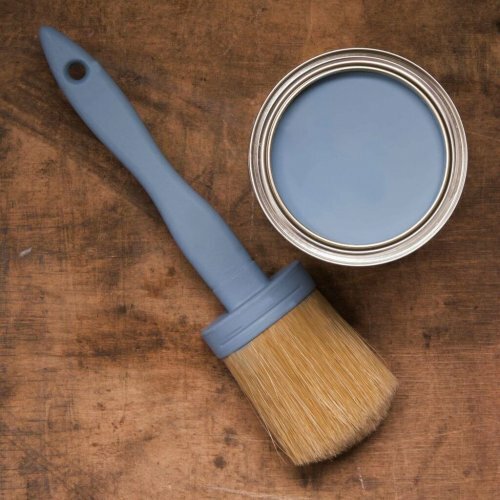 As an added bonus, the Paint has endured rigorous testing and has been EN:71-3 certified. 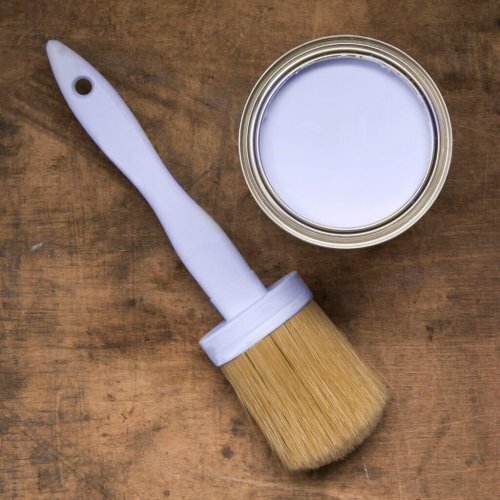 This means it is safe to paint children’s toys and nursery furniture.